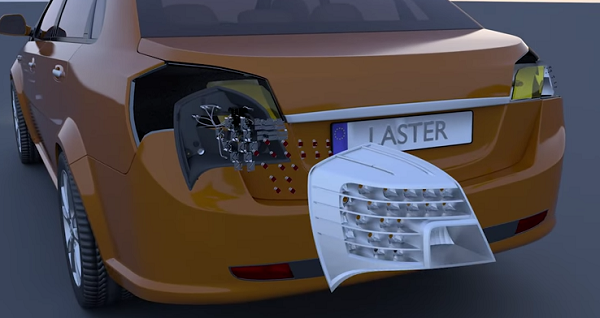 Automotive LED lighting module producer Laster Tech has reported continuous shipment of its automotive lighting modules even during the off-peak season for automakers. The company has registered a revenue of NT$ 359 million (US$ 11.64 million) for August with an increase of 17.15% YoY and 0.13% MoM. Laster Tech noted that aside from the stable orders from Huayu Vision Technology and Great Wall Motor, and Varroc TYC for LED taillight and daytime running light modules, the company also benefited from the booming demands from the Chinese automobile manufacturers for diversified designs of LED automotive lighting. The market needs have boosted the orders to Laster Tech, maintaining the full usage of its capacities. The company has been working with its major clients on LED headlights and taillights for new cars, preparing for the fourth quarter, which is the peak quarter for the Chinese automobile market. Besides, Laster Tech is also pushing the construction of its new factory in Wuhan, China, expecting that it will start operation in the first half of 2019.